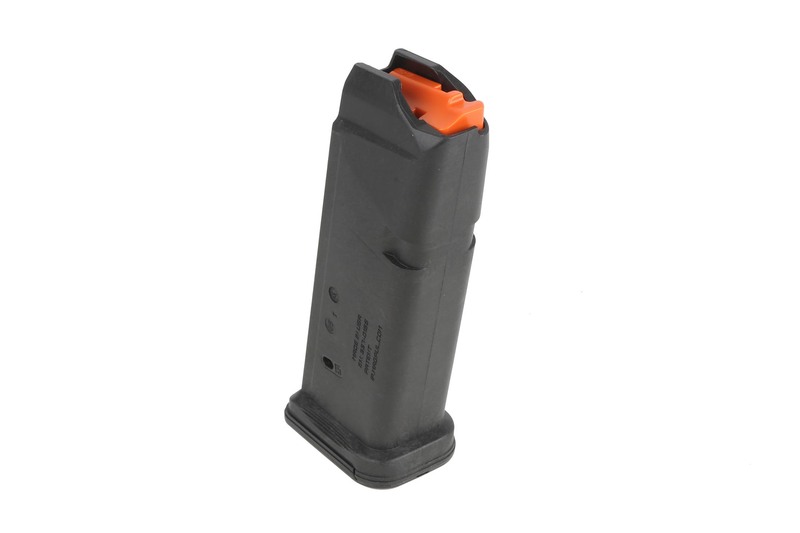 The Magpul GL9 PMAG 15 is a 15-round Glock 9mm handgun magazine featuring a proprietary all-polymer construction for reliability and durability over thousands of rounds. High visibility controlled-tilt follower, stainless steel spring, easily removable floorplate for cleaning, paint pen dot matrix for mag marking, ridged floorplate edges for better grip, and 15rd indicator windows. Drops free loaded or unloaded. All with the same boring reliability you expect from an OEM magazine. 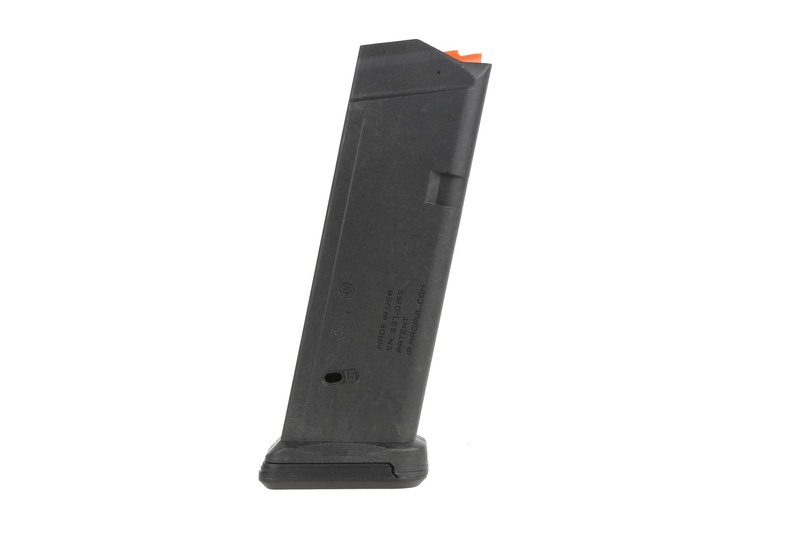 NOTE: The PMAG 15 GL9 is compatible with all Glock 19 handguns, as well as sub-compact variants with some protrusion below the grip. May not be compatible with other platforms designed for use with Glock magazines. Fit and funtion are flawless. Zero malfuntions after 500 rounds. 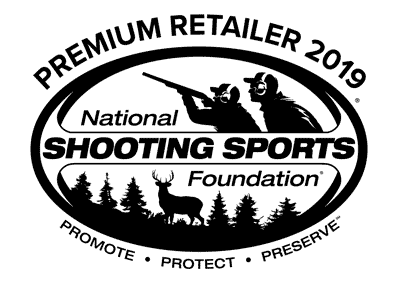 As always excellent service from Primary Arms. These are OK for range days but not close to OEM good. They work. What else can I add?... 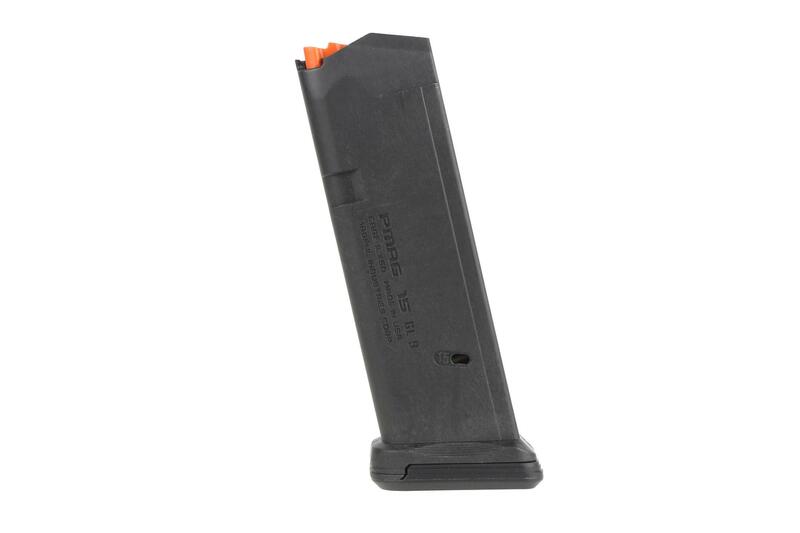 Two things I have not noticed anyone write yet: 1) they feel lighter than the OEM magazines, if you are a backpacker/hunter watching the ounces and grams, go with the magpul. 2) the base pad is significantly thicker, so it makes the gun slightly "higher" in measurement. If you are hyper-focused on concealability, these do make your weapon just a tad "larger." Boring Review on Another Excellent Magpul Product. 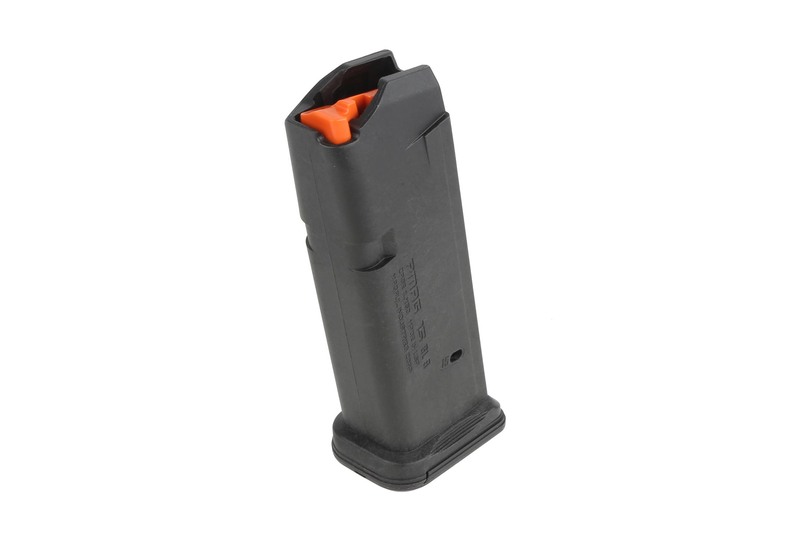 Ordered a bunch of these mags when they first came out. I have put around 1k rounds through them without any stoppages or malfunctions on both my 9mm AR and G19. Appears to be equal in quality to the OEM mags and have a very sturdy feel. Only major differences from the OEM are lack of metal reinforcement (do not see this to be a problem with Magpul polymers) and a larger, reinforced base plate. This makes it easier to extract the mag from pouches or the gun itself, but as it protrudes a tiny bit more, it could print slightly more? I have not noticed any issues with this. <br>Definitely my "go to" for training from now on with the price difference which is 2-1 v.s. OEM. Don't have to worry about dropping them or abusing them as I can just replace them if anything goes wrong. That being said, they are Magpuls, and thus far show zero signs of wear or damage. Ordered 3 of them. Cheaper then glock mags. Have read reviews on them and took a chance on them. Shot 150 rounds through 1 mag with no issues. Great for range use.